A leaky garbage disposal is not only a hassle, it’s also a mess and can also result in other problems if left unfixed. If you’re inexperienced in home improvement work, diagnosing the source of the leak may seem like quite a challenge. Make your life easier with the help of the information below. Once you start eliminating each possible option on your checklist, you should be able to identify the problem quite quickly. When your garbage disposal is leaking from bottom, first find the leak. 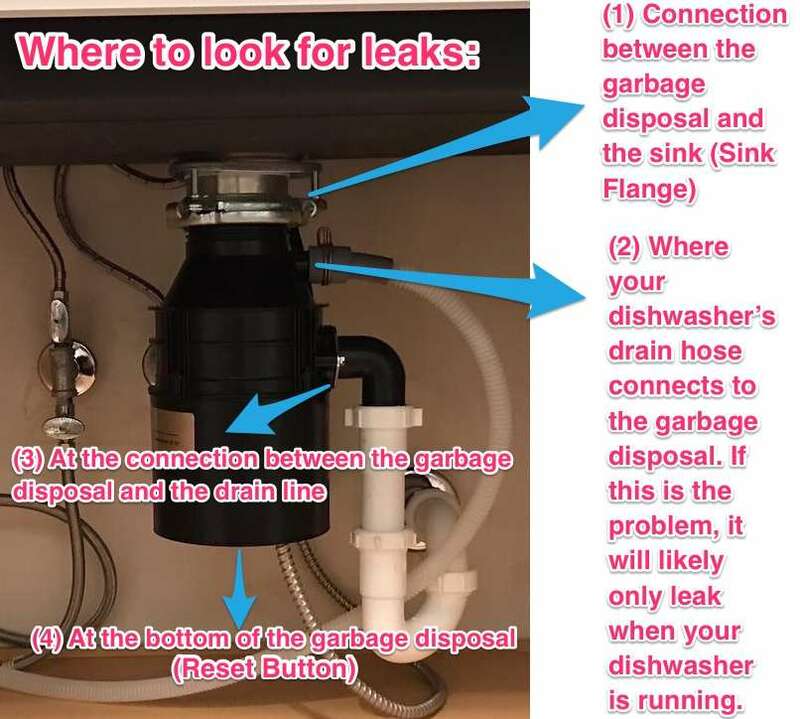 If you’re wondering how to fix a leaking garbage disposal, you’ll need to first examine the area to see specifically where the leak is coming from. However, before you begin looking for the leak, you’ll need to take some safety and preparation measures. Turn the garbage disposal off completely and unplug the unit. Place a bag, a small garbage can or a bucket underneath the sink to collect any leaking water. Turn on the water and fill up the sink a little less than half full. Take a bottle of food coloring, the brighter the better, and place a few drops in the sink of water. Examine the bottom of your sink and look for any leaks. 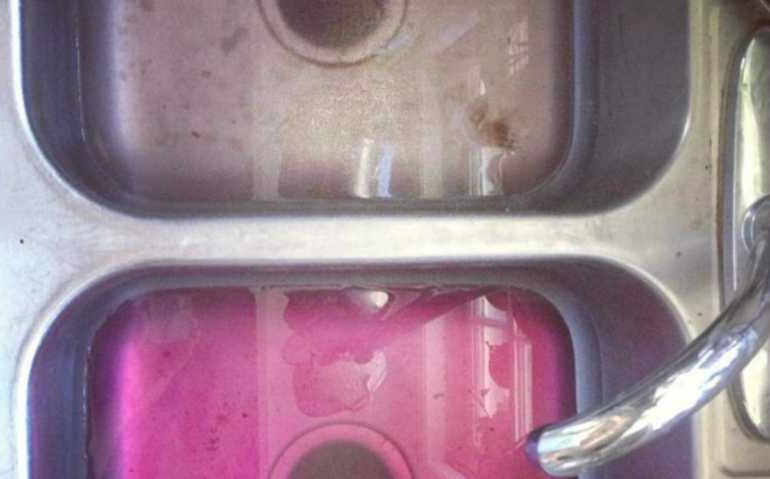 The leak could be originating from multiple places on your garbage disposal. When looking for leaks, the first place you want to start is where the sink and the garbage disposal are connected. This is a common place for a leak to occur. Another place you want to look is at the connection on the drain hose. However, you’ll have to turn on your dishwasher to detect this leak. If you don’t locate the leak in either of those two areas, you’ll then want to look at the location where the drain line and garbage disposal meet in addition to underneath the garbage disposal system. Once you’ve found the general area of the leak, you’ll then need to figure out what is causing it. First, turn off the power and unplug your garbage disposal. Disconnect your garbage disposal from under your sink. You will more than likely need a screw driver and a wrench. Remove any preexisting putty and reseal the area. You can also use a flange. A flange will tighten and compress the seal with screws. Once you have resealed the area, you can now reconnect your garbage disposal. If you are inexperienced with home improvement projects, you may want to call a professional. You might need to remove some of the pipes near the unit and reconnect them when the job is completed. If you have a broken seal on the inside of your garbage disposal, you will see leaking coming from the bottom of your unit. Leaks that come from the bottom of your garbage disposal are usually attributed to cracks on the inside of the device. This is due to basic wear and tear overtime. To fix this issue, you’ll need simply invest in a new garbage disposal. Typically, garbage disposals usually last anywhere from 5 to 10 years. Well manufactured units may even last longer than that. If you’re really looking to save some money, you can always disconnect your unit, dissect it, seal the crack and reattach it. However, this is just a temporary fix. If you have the money, it’s best just to invest in a new unit. The drain lines are a common place for your garbage disposal to leak from. Get down and inspect the location where your drain lines attach to your garbage disposal. You will see two lines. The small line is the dishwasher disposal line and the thicker line is the sewer disposal line (discharge tube). While inspecting your unit, if you see leaking, you will need to equip yourself with a screwdriver and tighten up the clamp that’s holding the garbage disposal to the dishwasher. The smaller drain line is attached by screws. Tighten up these screws and if the gasket is worn, replace this too (Careful not to overtighten). You should be able to purchase gaskets at your local home improvement store for a fairly inexpensive price. While you’re inspecting your drain lines, also look to see if you see wear and tear. Over the years, drain lines can sprout leaks and cracks that can lose water. If you notice that your lines look pretty worn, you may want to have them replaced. Again, if you are inexperienced with home improvement projects, it’s best to call a professional to tackle the job. 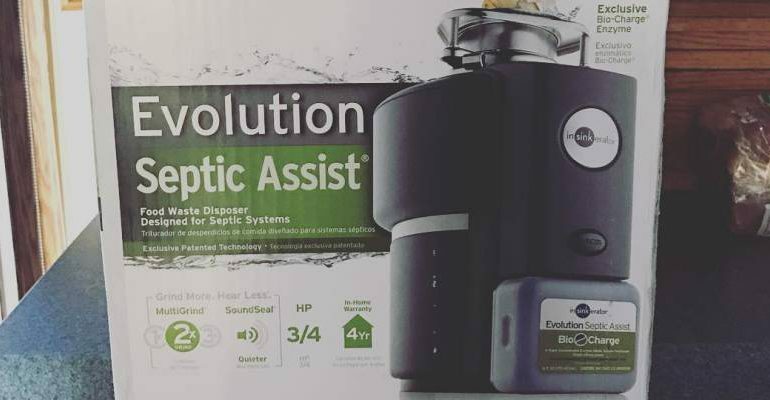 If your garbage disposal is leaking from the reset button, and your system is fairly old, you’ll probably want to just invest in a whole new system. It would be a waste of time and money to fix the reset button and find out in a couple months that there’s another problem with the system. However, if your garbage disposal is fairly new, having the reset button repaired is a better choice, especially if your unit is still under warranty. If your unit is under warranty, the company will probably send out a repair man to fix the job. On the other hand, if your unit isn’t under warranty, it’s best to have a skilled technician complete the job unless you have experience doing this. You’ll want to look for cracks or wet spots on the body of your garbage disposal. If by chance you do find any, the unit will more than likely have to be replaced, especially if there are large, visible cracks. Garbage disposals are usually attached beneath the kitchen sink, but because most families also keep their cleaning products and other necessities here, it’s easy to accidently bump and move the unit out of place. If you find that your disposal is not in the right spot, make sure you reposition it as soon as possible. As you’re grinding up something, run cold water down your drain. Never put hard food down the drain, only soft food. Perform regular inspections on your unit to ensure no leaks are present. Never put eggshells, potato peels, coffee grinds, pasta, rice, plastic and paper down the garbage disposal. Bleach should never be poured down the drain. Follow these tips, and you’ll protect your garbage disposal and extend the life of it as well. He began his career in plumbing at the age of 14 while still in high school. Kevin Sharp has a bachelor's degree in journalism from Illinois State University. Garbage Disposal Backing up into Your Other Sink? Here’s the Fix! My Badger 1 disposal is leaking from the square piece on the bottom. Its attached with one screw only and it is tight. What to do? I’m guessing that it most likely needs to be replaced. Yup my disposal is leaking there as welll . I do not want to buy a Badger again sounds like they are designed to fail. Is there better brand any recommendations?? That is exactly what mine is doing! I had a feeling it needed to be replaced, we have had it a long time. I read somewhere eggshells “scrapes” grime of the blades therefore is good for the disposal. However, I don’t believe it is good for the disposal. Putting egg shells down the disposal will create little particles and they will stick to the pipe walls. Over time, it might cause a clog. One of the screws on the side of my Badger 5 is rusty and seems to be the source of a very minor leak. If I leave a towel in place under the side of the unit, it will saturate after a week or two. Drain, dishwasher, and sink connections are bone dry. As well as the flange connect at sink. Can I let it be or is this a major disaster waiting to happen? This can happen because of a minor crack at the bottom of your disposal. If that’s the case, it will need to be replaced. Disposal leaking at the bottom, small leak. Is there a seal that can be replaced if leaking at the bottom? Seal at the bottom may be causing the leak? Thank you. Yes, you can replace the seal inside the unit. However, if the age of your unit is between 5 and 10 years old, it is better idea to get a brand new one. Because it will not be a economic solution. My disposer is only 3 years old, 1/2 hp and is leaking out the bottom. Seriously???? I have water pouring out of what is already an existing hole or opening that is part of the garbage disposal near the top in the back. What could be the issue? Thanks so much! The only existing hole I can think of ‘near the top’ that is a part of the unit, would be the place where a dishwasher hose would attach. Was that disposal once connected to a dishwasher that is no longer there? If so, that could be why water is coming out of ‘an existing hole’… Seems silly maybe, but sometimes the most obvious really is the answer. My disposal is leaking from the reset button. I have ordered a new unit, unplugged the current one and placed a bucket underneath to catch any dripping water. While I’m waiting for the new unit to arrive, I have a full load in the dishwater and was wondering if I plugged it back in, could I still use the dishwasher? Thank you in advance! Yes you can, but it’s better if you can reroute a drain pipe to accommodate for the missing disposer. Mine is leaking from the bottom reset button. I’m going to take the disposal out. Once it is out is there a way to make it functional with out disposal? Mine is leaking from the bottom closer to the reset button. The reset button is not working either. What might be the issue and what needs to be replaced ?